The 2018 Range Rover Velar is a dynamic and sophisticated SUV ready for anything. Find out all the Range Rover Velar is capable of and check out Range Rover Velar specs at Land Rover Chandler near Gilbert. Then be sure to browse our inventory to find a Range Rover Velar for sale at our dealership that speaks to you. Terrain Response®: This adjustable feature automatically responds to the road surface to make sure you have control on any type of terrain. Adaptive Dynamics: This technology monitors and responds to the vehicle’s movements to adjust to driver behavior, weather conditions, and more. Hill Descent Control®: This feature allows for a controlled downhill drive to avoid slippage and overworking the engine. 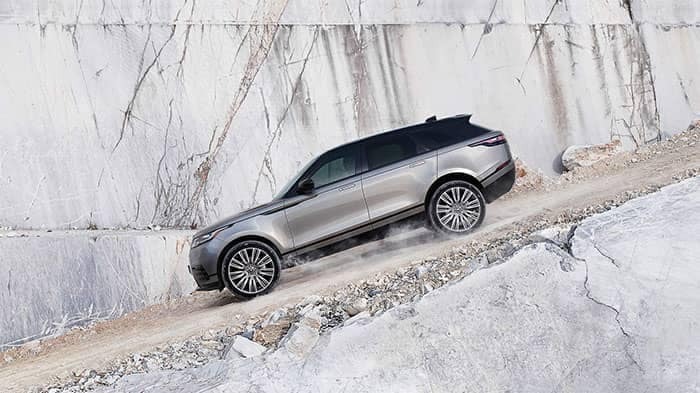 Dynamic Stability Control: When you are on rocky roads and tight curves in Tempe, this feature helps keep your Range Rover Velar from tipping. Electronic Air Suspension: This feature works from second to second to deliver a smooth ride no matter if you are on or off the road. Wading: The Range Rover Velar boasts a 25.5-inch wade depth, and Wade Sensing technology uses sensors to detect and alert you when you are close to the limit. Test Out the Range Rover Velar Today! 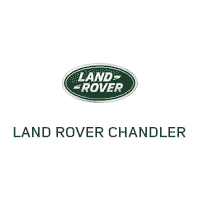 After you explore the likes of the Range Rover Velar vs. Mercedes-Benz GLC visit Land Rover Chandler to test out the Velar in person. We can’t wait to help you find the luxury SUV that best suits your lifestyle.